Toshiba’s Portégé series of thin light notebooks were Ultrabooks well before the term Ultrabook was even coined, the latest model in the series, the Z30, continues this legacy. It is extremely light – at 2.64 lbs it is one of the lightest machines in this list, so if portability is of prime consideration, you cannot go wrong with the Z30. The Z30 is 13-inch machine, and is pretty compact, though no more so that the other 13-inch notebooks in this list. It is a pity Toshiba could not squeeze in a big 14” screen into the same compact chassis like Lenovo has with the X1 Carbon. The Z30 is attractively designed, but doesn’t stand out from the crowd with its typical brushed metal look that so many Ultrabooks have. 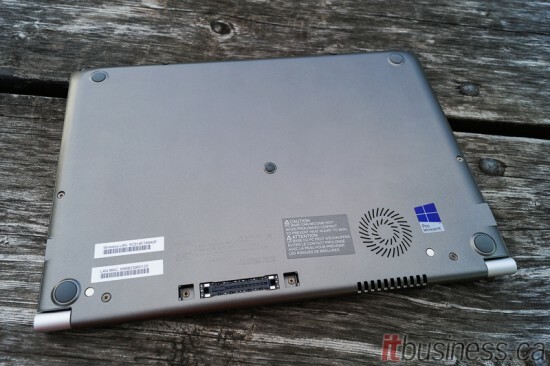 While it is mostly magnesium construction contributes to its lightness, it also makes it not as sturdy as some of the other Ultrabooks in this list, despite Toshiba’s claims of its durability, and it is not MIL-STD tested. It is also not as thin as some of the other 13-inch machines here because Toshiba wanted to fit in as many ports as possible, and we are glad of that. Why compromise functionality for the sake of a few millimetres? The 13-inch HD (1366 x 768) anti-glare screen is the Z30’s weakest component. At this time, it is the only option available to buyers, even on the top-end model, and it is a dull TN panel with poor viewing angles. If you do any kind of creative work, the Z30 probably isn’t the best choice for you. However, there is supposed to be a model with a FHD IPS screen coming soon, which would make a BIG difference, and certainly raise the Z30’s ranking. The Z30 has a spill-resistant backlit keyboard that performs OK – the keys are well laid out and have a decent amount of travel, but the magnesium chassis causes the keyboard to flex a lot when in use, impacting your typing performance. The touchpad is a decent size, and there are physical mouse buttons, but the finish is not as smooth as it could be, so does not have as nice a feel as the touchpads on some of the other notebooks in this list. The Z30 does have a trackpoint (Toshiba calls it the ‘Accupoint’) nub for an alternate method of mouse pointer control. One of the best features of the Portégé Z30 is the amount of ports that Toshiba has managed to squeeze into such compact and light machine. It has three USB 3.0 ports, Ethernet, VGA, full-sized HDMI, an SD card reader and a SmartCard reader, though we are a little puzzled as to why a DisplayPort was not included too. There is also a fingerprint reader for added security. While the battery is non-removable, like so many Ultrabooks in this list, the DIMM slots are user accessible, and the Z30 can be upgraded to a maximum of 16 GB of RAM. The fixed battery provides amazing battery-life, with the Z30 being tested to run as long as 10 hours. The Portégé Z30 is certainly excellent value for money. 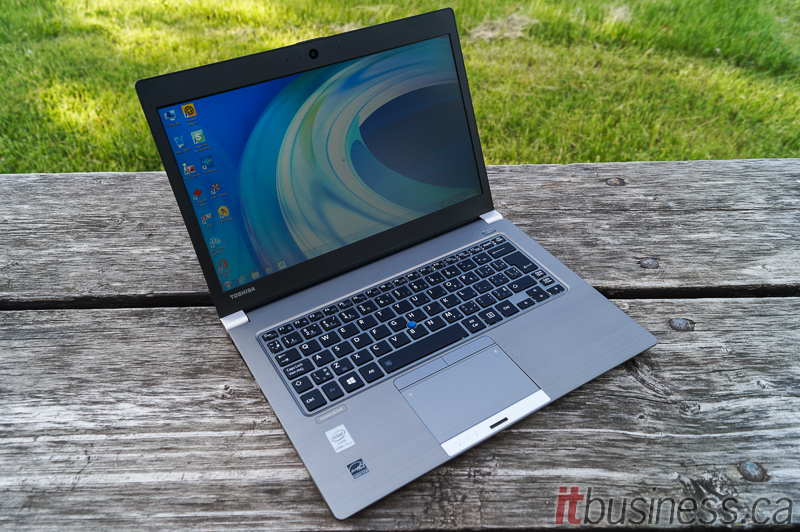 It has a 3-year warranty, and the starting price of the Core-i5 model is quite reasonable when compared to other Ultrabooks in this list with similar specifications. Of course, when you do max out the specs it can get a little pricey, and that is for a model that still has the HD screen. Toshiba really needs to start offering a model with a better screen soon.